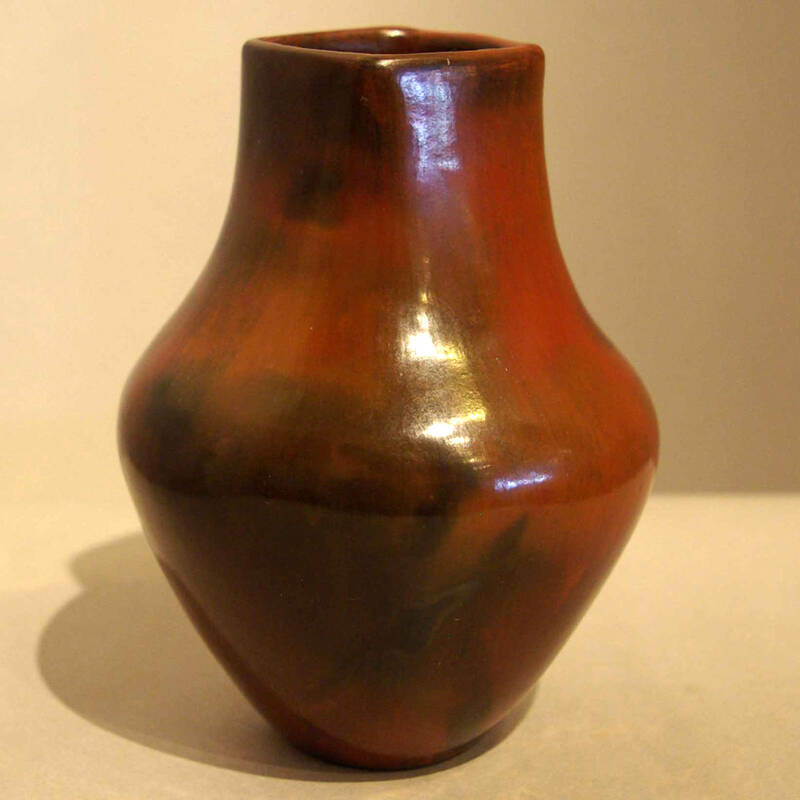 Pottery is usually fired in the open, or in a shallow pit, using cow or sheep manure and/or wood or bark for fuel. The length of the firing, the final temperature, the rapidity of cooling and the firing atmosphere - either oxidization or reduction (reduced oxygen) - affects the finished surface color of the ceramic vessels. Then again, something that turned black in an oxygen-reduction atmosphere can be reheated, re-oxygenated and turn red again. Or the original oxygen-reduction burn could be more closely monitored and the pot removed in any of the color stages between red and black... 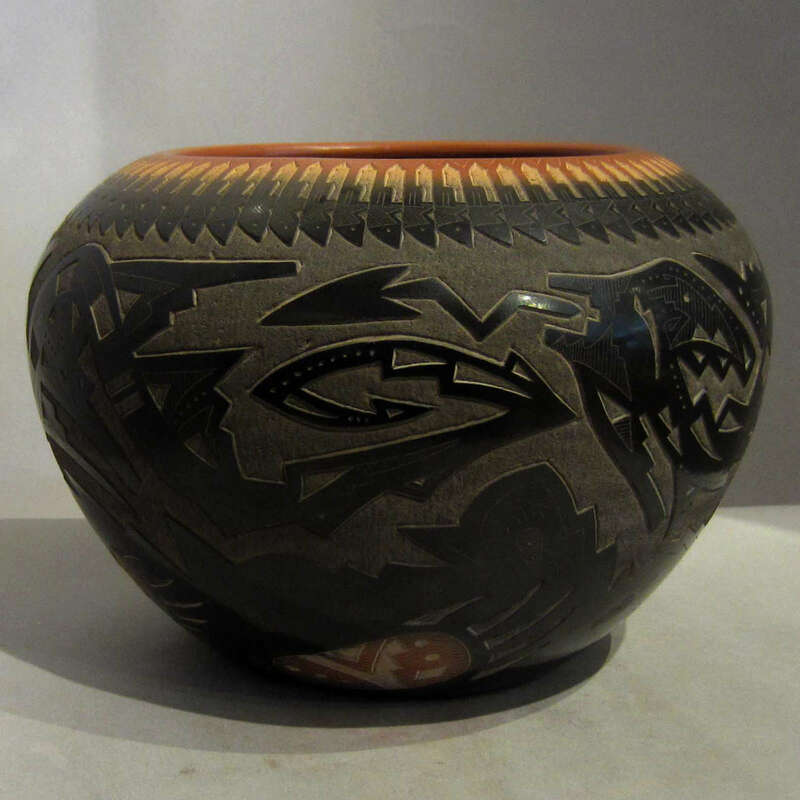 Many of the younger potters of Santa Clara Pueblo have become highly skilled at this and regularly produce pottery with sienna spots and rims by reheating parts of a black pot with a blowtorch or by setting a pot on its rim on a hot cookie sheet. Others know exactly when to pull a red-body pot from an oxygen-reduction fire to get a brown surface as a background for their sgraffito work. Fire clouds are also a coloring event that occurs during firing. Generally it happens when something burns too close to the pot or actually touches it. 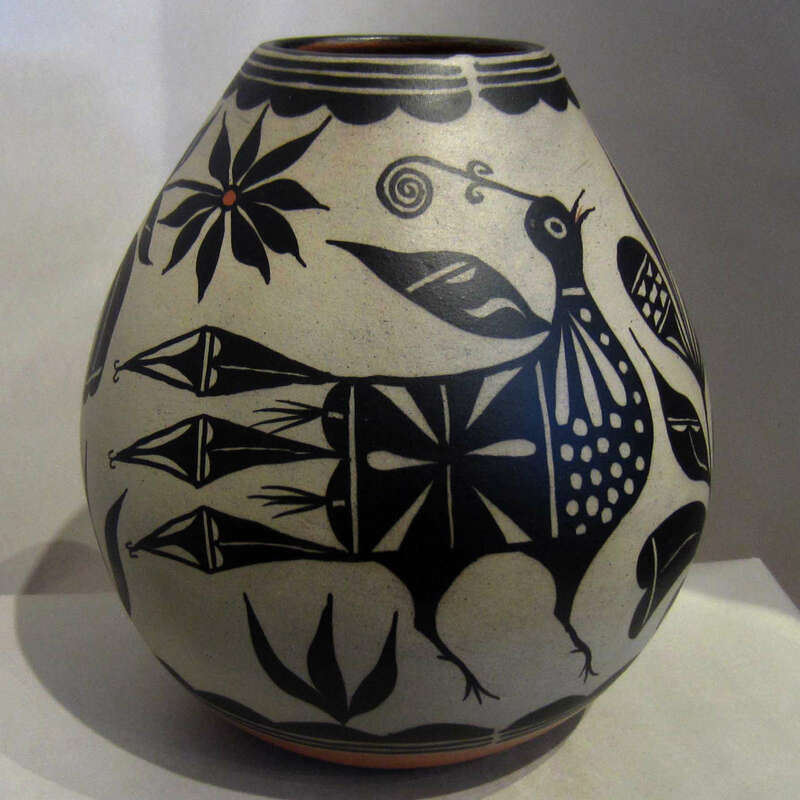 This is seen on a lot of Hopi and Navajo pottery with many Navajo potters placing their wood in such a way as to encourage fire clouds. 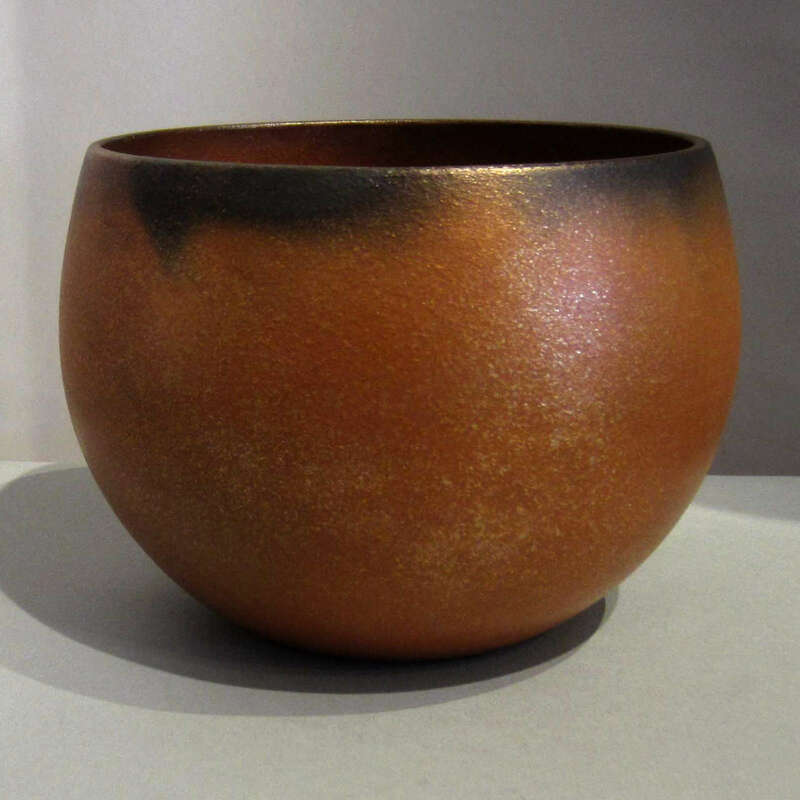 Firing is the proof of a potter's skill because after all the work that goes into making a pot, it's in the firing that the pot actually becomes a pot or it explodes (literally). And if it explodes, how many other pots might it take with it in the explosion? Some potters will only fire one or two pieces at a time while others will stack up pieces and cook twenty or more at once. 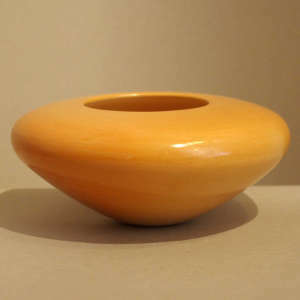 Firing is also dependent on the weather and the fuel being used. Wind, humidity, outdoor temperature... all figure in the equation. 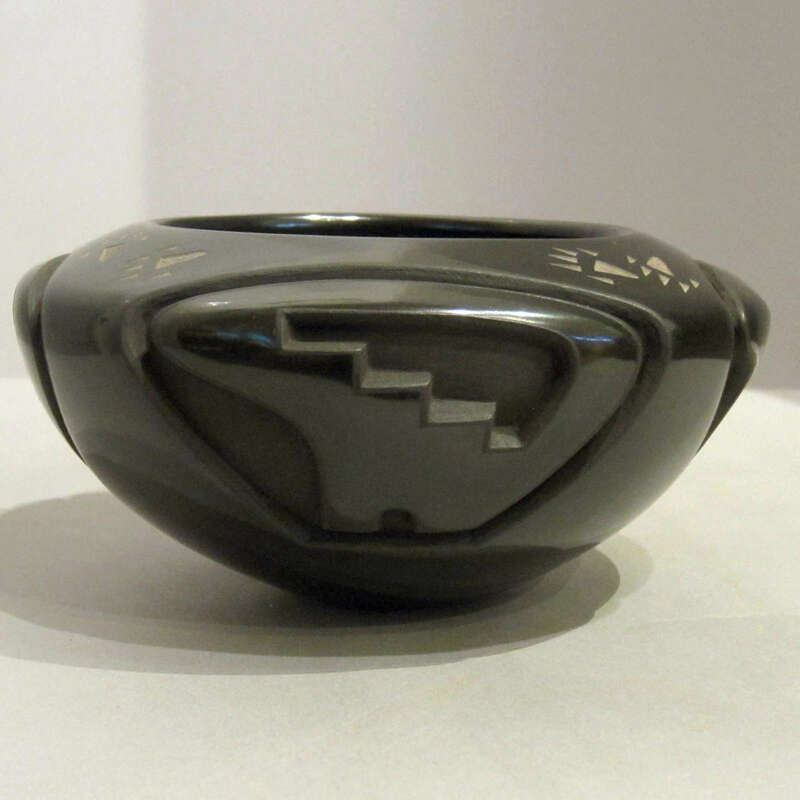 That said, some potters from Acoma and most from Zuni now use electric kilns to fire their pieces.